On Wednesdays SFV (Fighter's Crossover Akihabara – FCA is the event name) at Akihabara ESports Square (the place, Map) starting from 7pm. There are usually around 20 setups, all with sticks. The place has a bar with food too. On Thursdays there is usually a SFV event at Red Bull Gaming Sphere, Map or sometimes BeasTV's Jikoken TV with Fuudo. Also on some Thursdays there is a DBFZ event orgaqnized by Kagecchi at Akihabara eSports Square. Studio Sky (Map) announced on 2018-09-14 that they will be an open esports space, and as part of that I'm not yet sure of their schedule, but I add information about their events when I see it. Check Gaijin Gaming Brothers for information about Smash related events in Japan. I add Tokyo based events to my list, but they track events all over Japan with English information. Syogepi-events has a Google Calendar of his events. He often runs platinum and under begginer friendly events. They have an English based guide to participating in their events. If you are comfortable with Japanese, Kakuge-checker.com has a comprehensive list of offline, online, and other events going around all over Japan. I don't know how he/they/she does it. 1. 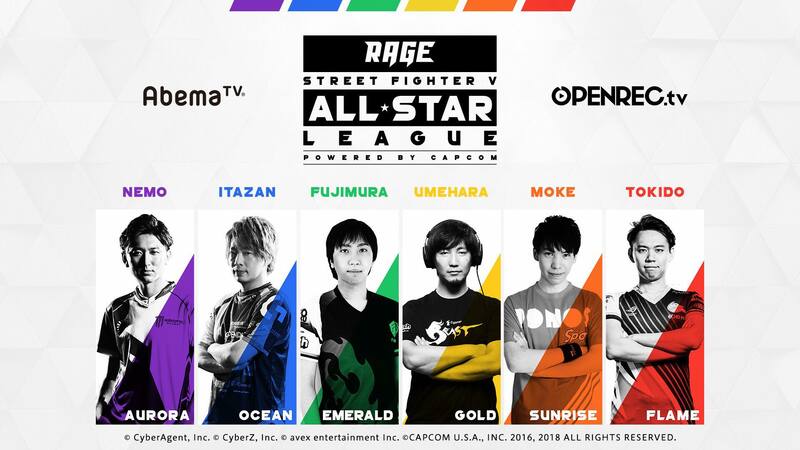 What is the Japan Street Fighter League powered by RAGE? 1.2. Special Rule "FINAL ACT"
1 What is the Japan Street Fighter League powered by RAGE? Back at Tokyo Game Show 2018, one of the announcements was a Street Fighter V team three on three league. The Japanese version has three classes of members, one on each team. I wrote about the team composition in a post about the Beginner Class selection, and also mentioned the High Class member selection process in another blog post. Here is the basic information though. An Extreme Class member, basically the team leader. 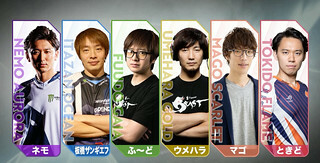 The teams are led by Itabashi Zanfief, Tokido, Fuudo, Mago, Daigo, and Nemo. A High Class member, who is under 22 years old as of 2019 March 31st, and selected on a series of TV shows in the High Class member selection process. 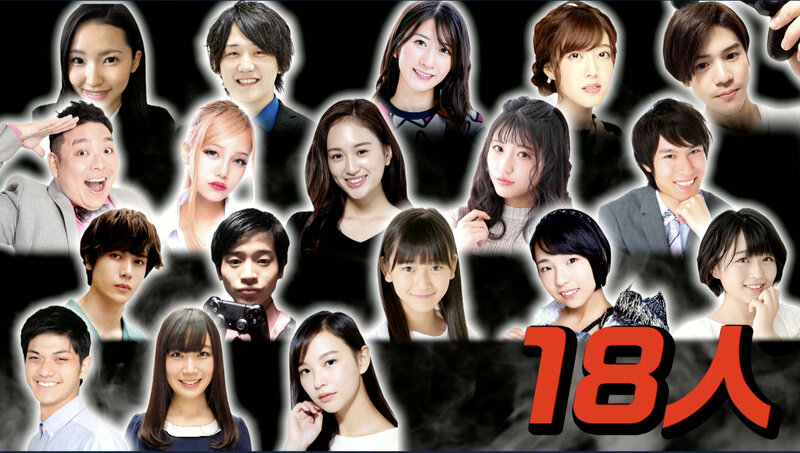 The people who were candidates for that series of TV shows went through a try-out process that you can watch in two episodes on Abema.tv if you like. A Beginner Class member, described in this blog post. The team play will take place in January and February of 2019. The team captains drafted team members in the Team Draft show streamed on OpenRec.tv on January 26th. I haven't seen too much about this - except for some HiFightTH clips that were likely hard to understand without more context. I don't mean to throw shade on HiFightTH - the guy is amazing and you should support him on Patreon if you have the ability. How does the tournament work? The teams accumulate points during round robin League play. The three teams with the highest point total advance on to the Grand Finals. Players in each respective class play each other, and point values differ based on that. Each set is a first to two. Note that because of this, there really is a balance between teaching the team members, and just trying to coast by on the individual performance of the team captain. It is likely that the win rate (well, I guess I should talk to The Game Twok or finish reading Fighting With Numbers 2019 first) for the team captains will be around 50%, so if they can focus and teach their team members to consistently win, that is a probably an easier path to points than trying to train to beat the other pros more consistently. There is relative strength in the different captains, but I'm convinced this structure makes the Beginner and High class members important as well. On the first public day of the JAEPO (Japan Amusements Expo and part of Tokaigi 2019 Game Party Japan out in Makuhari Messe exhibition center, there were lots of video game, and more importantly to me, fighting game related events. One of those was the "Zangief Festival" set up by the TV Show Ariyoshieeeee (broadcasts Sunday nights at 10pm on TV Tokyo) and Detonation Gaming on the AU Stage. It was streamed on Youtube (see below for links to the video), but was essentially a festival of all things Zangief. I took a few notes below. 1:10 General introduction to the Zangief Festival from the Ariyoshiiii show. After that are some clips from the show when they were playing SFV, and a trailer for their Jan. 27th episode where they will be playing SFV. There has been a bunch of random news out of Japan that I've wanted to talk about, but I haven't had the time. I try to tweet something every once in a while when I see something interesting on twitter, but I can't always keep up. 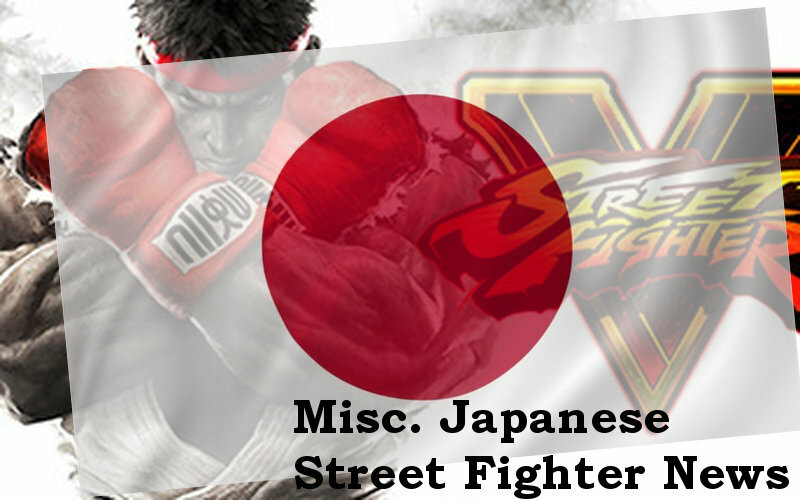 So here is a post with a smattering of interesting news I've seen about SFV in Japan lately. 1. What is the the Capcom Street Fighter League Powered by Rage? 1 What is the the Capcom Street Fighter League Powered by Rage? This is the new three on three team league battle that Capcom Announced at the 2018 Tokyo Game Show / Japan Premiere. It will use SFV's team battle mode, and each team will consist of three members: an Extreme class member, a high class member, and a Beginner member. 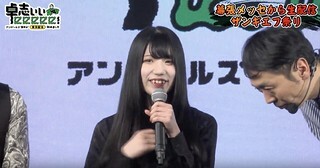 OpenRec and Abema.tv (which really are the same thing, just using two different interfaces to present the content) have been broadcasting an audition series for the beginner members. I thought I would take some notes about them. The High Class players haven't been announced yet, but it says that they "are under 22 years old as of 2019 March 31st, and will be selected with a strong emphasis on their ability". So that should be interesting - making sure they are under 22 years old injects some younger players into the mix. What about the beginner class? They are "People who have started to practice recently, and will play seriously from now". There were interviews November 13th, 2018 that reduced the pool from 30 people down to 18 people. They are all models, actors, idols, or comedians who have not ever played, or only just played a little bit of Street Fighter. So now they are entering into a series of auditions / competitions to reduce their number down further to the final six selected. 1 2018-12-04 OpenRec.tv N/A. Just pass the interview to get in. 2 2018-12-09 OpenRec.tv Perform 3 CAs in a row in training mode. 3 2018-12-16 OpenRec.tv Clear 10 trials in Challenge Mode. 4 2018-12-23 OpenRec.tv Play 100 matches. This series of shows will select the seven players for the draft that will be used for the six teams. I will also track events in Fukuoka in January and February for people who might be headed to EVO Japan. What might the Capcom SFV Arcade Cabinet mean for SFV in Japan? 5. What new audiences will arcades open up? 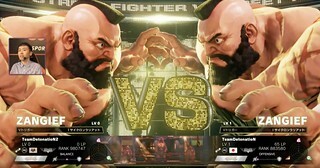 Capcom announced that they would release an Arcade Cabinet Version of Street Fighter V: Arcade Edition at the Japan Premiere. The audience was super excited about it. I've been living in Japan for the past 12 years or so, and had some thoughts on the announcement. I've been a big fan of street fighter since I first ran into it at a local Pizza Shop in West Windsor, New Jersey, and played a lot of Champion Edition, Super, and Super Turbo through college. Then I went off to grad school, and doing a PhD took up a lot of time, so I didn't get to play much. I kind of missed SF3 more or less. I did have a summer internship in Japan where I played a bunch of Zero2 in the arcades, but I would only occasionally go down to China Town Faire in New York, and when I did I usually played Super Turbo. So I was out of the scene for a while. When I moved to Japan, that was just when CapCom was running location tests for Street Fighter 4, and I went to one of those. It was great. I played a whole bunch online for years. I never knew about the scene there though because it isn't obvious how you are supposed to learn where all the action is at. I would just go to my local arcade after work, and play there. When Street Fighter V came out, I got that and played online. In the past two years though, I heard on the Jump In Podcast about the Akihabara eSports Square offline local, and I realized that I wish someone had gathered up information about locals and arcades in English. So I started to do that. I also started to write blog posts about offline events happening in Tokyo, hopefully to help others find out what is going on. As a Street Fighter fan living in Japan, I'd like speculate a bit about what this announcement might mean. Studio Sky (Map) announced on 2018-09-14 that they will be an open esports space, and as part of that I'm not yet sure of their schedule. I was a volunteer for the 2018 Japan Premiere, which was held at the Tokyo Game Show. I took a few pictures, and thought I would write up me experience here. At this year’s Japan Premiere 2018 Momochi tweeted a bunch of interesting tweets. I’ve collected and translated them here. English after the embedded tweets. 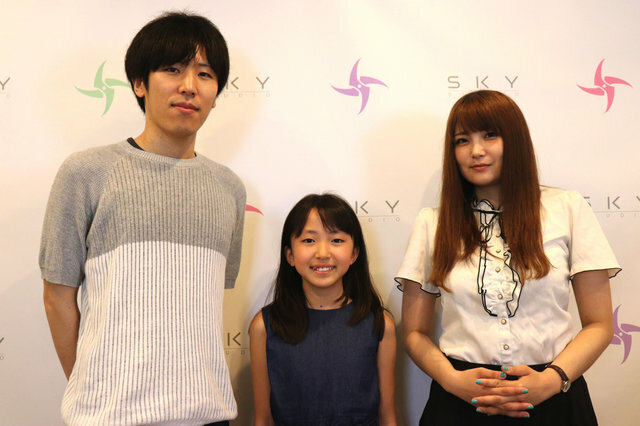 Studio Sky transforms into "Gaming Office Studio Sky"
2018-09-14 at about 2pm JST, Momochi announced that Studio Sky is undergoing a change. Here is a rough translation. 1. What are the rules for Topanga League? The Topanga league is a long-running tournament of top players in Japan. A report on the signing ceremony for the "Japan and Saudi Arabia eSports Match" agreement. 4gamer.net posted an article about a new Japan - Saudia Arabia eSports venture that will take place in January 2019. Ian Walker started an interesting twitter thread about the FGC and taking money from Saudi Arabia. I think he has a good point there, but since this is the second time I've seen someone talk about this article, I thought I would put up my translation here so people can see the source, and then talk a bit more about the implications. My translation follows. As always, all mistakes are my own, I'm not a professional translator, etc. I haven't done any real editing on this, and it is a bit rough in places. 6. What could Capcom be doing better? A note on word choice: I used the word "eSports" here a lot. People have strong feels about that word. I don't mind it so much, and I could just as happily write "popularizing fighting games" or something. I certainly don't think eSports means you need to wear a suit, I think you generally should always be respectful of people regardless of race, gender, ethnicity, age, or sexual orientation, but eSports probably does have more of a monetary aspect in it than the grass roots does. I've noticed lately that Capcom Japan has been doing some good things to support SFV as an eSports vehicle. A lot of people are concerned that any eSports activity around fighting games should keep in mind the grassroots origins of the Fighting Game Community, and I agree that is important. I do think there is space for a variety of content around Fighting Games, and while I love the Open Tournament format, I also see room for other kinds of events and entertainment. I'll write a bit about some of what Capcom has been doing, which is decidedly on the eSports side of things, but I still think is good for fighting games, and the community at large. The tournament is Single elimination, First to Two, random stage. Loser can change characters. VOD up on youtube, with top 8 beginning from 3:19:50. Teddy Bui had a great comment with the players and timestamps, which I used to put this together. Koji KOG (Waldstein / Tager) was in the tournament, but lost just before Top 8. I always loved Koji KOG's T.Hawk, and I love that he's got the big body team in this game. The commentary team says that all the people in top 8 are well known, but with my Street Fighter background, I don't recognize the names. :-( Before the top 8 everyone introduced themselves. Lots of people from the Kanto (Tokyo) area. Kubo is from Nagoya. Dojidoji says that he has enjoyed this game so much he only gets 3 hours of sleep a night. I was hoping they would talk about the rules for this top 8. Kubo received a Yoshimoto Gaming jersey (which he is obligated to wear at EVO - the website had some interesting information about the conditions, and that was one of them) and financial support to go to EVO. Kubo says that he plays other games as well, and will continue to play BBTAG and other games. Ozawa from Arc System Works gave a little speech afterwards too, and said that Kubo was very active in the Cross beta test period, thanking him for that. He says that the DLC released on the 19th was cleared to use at EVO, and thanks everyone for coming today. The tournament was at Akihabara eSports Square, and Kagecchi helped organize it. I don't think he gets enough recognition outside Japan for the work that he does for the scene - he puts on the weekly Fighter's Crossver -Akihabara- locals, and often organizes other events, like the USF4 side tournament at 2018 EVO Japan. Please thank your local TO and go to your local tournaments! Interview with Itabashi Zangief: You can't win just by "being good". 1. You can't win just by "being good". The dedication of Itabashi Zangief, a pro gamer that plays 10 hours a day. 3. Being good alone isn't enough to win. Learn from an eSports pro how to win in the competitive world. This interview is from entrenet.jp. Published on 2018-06-22. I could not find an attribution to the interviewer, but if you know who it is, please let me know and I'll update this post. I'm an unabashed Itabashi Zangief fan, so I really enjoyed reading and translating this. I'm not a professional translator, and I take some liberties here, but I think the feel of the article comes across. The original article is formatted a bit better, but this gets the information across just fine. 1. Sako and Ryuusei join FAV gaming's Fighting Game division, and we talk to them about it! 2. How do you feel now that you have joined FAV gaming? 4. The players talk about their enthusiasm for the future! Sako and Ryuusei have joined FAV Gaming to start their fighting games division. This famitsu article has an interview with them, and I thought it would be fun to translate it. Just a little bit of background information on G'z Brain: they are a publishin / web site / marking / consulting company that is most well known for publishing the Famitsu gaming magazine, and are part of the larger Kadokawa publishing family of businesses.